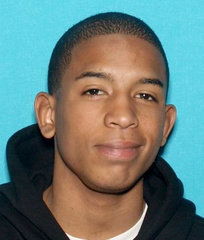 PASADENA, CA – On February 17, 2014, at approximately 4:00pm, Pasadena Police Detectives arrested Jonjon Crummie for PC 187 – Homicide. The suspect was transported to the Los Angeles County Medical Center by his mother, who facilitated his surrender. Crummie was detained by the Los Angeles County Sheriffs pending the arrival of Pasadena detectives. Crummie was taken into custody by the Pasadena Police Department without incident for the February 16th shooting homicide of a 19 year old Hispanic woman in Pasadena. Please call the police department immediately. http://lacrimestoppers.org (insert key word Pasadena).